Just like Walmart, Best Buy isn’t waiting until next week to offer some nice deals on Apple products. If you’re looking to purchase an original iPad Air, the retailer is offering anywhere from $80 to $100 off on all models. 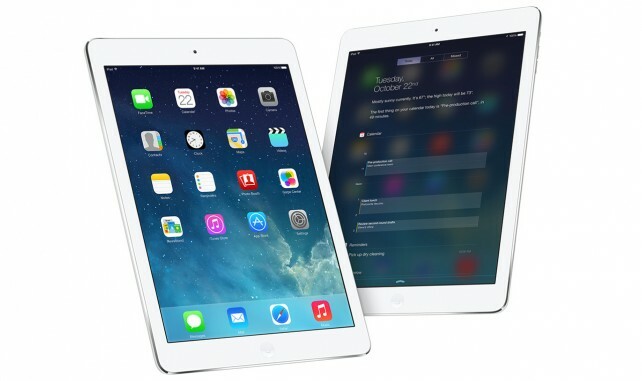 For example, you can buy a 16GB Wi-Fi enabled iPad Air for $319.99, an $80 discount. The 32GB and 64GB Wi-Fi tablets are also on sale. The Wi-Fi + Cellular enabled versions are discounted as well, starting at $429.99 for a 16GB edition with a new, two-year contract with AT&T or Verizon. You can also purchase an iPod touch for a lower price, with the 64GB model receiving the biggest price cut to $249.99, a $50 discount. The black, white, red, and pink models of the Beats Solo HD Drenched headphones are also $99.99, $70 less than their normal retail price. All the mentioned deals will last through Saturday. 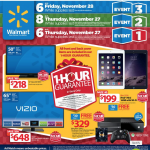 Best Buy’s Black Friday sale will start a day early next week on Thanksgiving Day, Nov. 27. Some of those offers will include $100 off every iPad Air 2 and the 16GB iPhone 6 for $99.99 with a two-year contract. For other news today, see: The America First Credit Union Visa Card now supports Apple Pay, A new survey finds the iPhone 6 Plus is more than a niche player, and The Billboard 200 will soon start counting data from music streaming services.